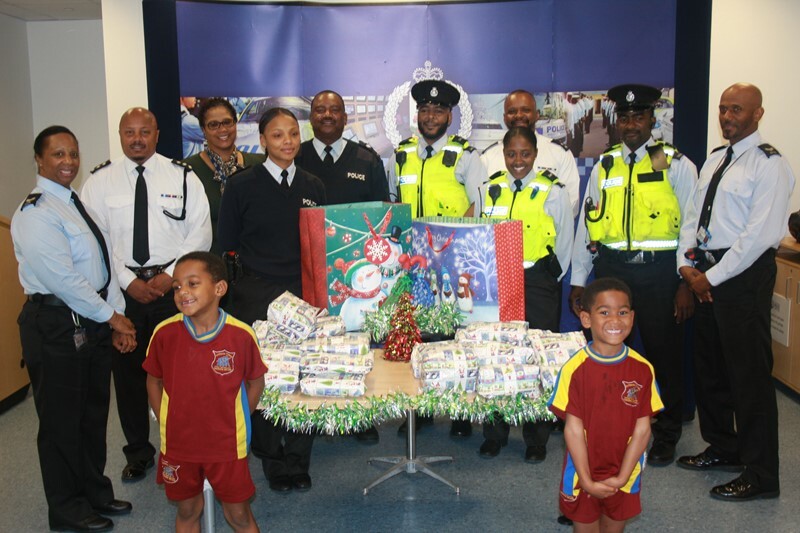 The Bermuda Police Service is undertaking its second annual “Give a Child Christmas” initiative, with two students from Northlands Primary set to benefit. “So, we identified a school in the central area and liaised with the relevant guidance counselor [in this case Ms. Hollis] to nominate two students deemed fit to be recipients of the program. “In 2015 we chose two students from Victor Scott Primary and this year both students are from Northlands Primary. “We are only in our second year but we anticipate that this will continue to be an annual event. In participating in this initiative we hope we can have a significant impact on the children in our community as we commit to providing effective, supportive and positive interactions that build strong relationships between the youth and the Bermuda Police Service. “It now gives us great pleasure to present these gifts to W’niy Christopher and Csaiyan Burns-Rankin both in class P1 Steede.